“I get paid to talk to people.” says our newest guest, Joel Johnson, director of alumni affairs at Southeastern University. Joel personally engages 15,000 alumni to make them feel connected and supported. He poignantly walks us through listening to the needs of the alumni he serves: diagnosing the problem and utilizing social media to its biggest advantage. Listen to this edition of A Server’s Journey as he talks the problems he faces and his most rewarding alumni experiences. 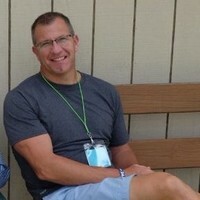 Joel Johnson serves as the Director of Alumni Relations at Southeastern University in Lakeland, Florida. Today, Joel uses social media and the art of servant leadership to help Southeastern’s alumni continue their legacy after graduation. A Southeastern grad himself, Joel serves 15,000 alumni by engaging them day in and day out with events, business visits, and getting to know their stories. Joel knows that in order to connect with those you serve, you must be intentional, focused, and care truly about their success.